Long story short, this came into my possession through a friend. A mutual friend had given it to him to fix and I inherited the project. I told the mutual friend it was now in my hands and what the problem was, he was highly embarrassed that I was repairing it for him and that he'd bought it in the first place. 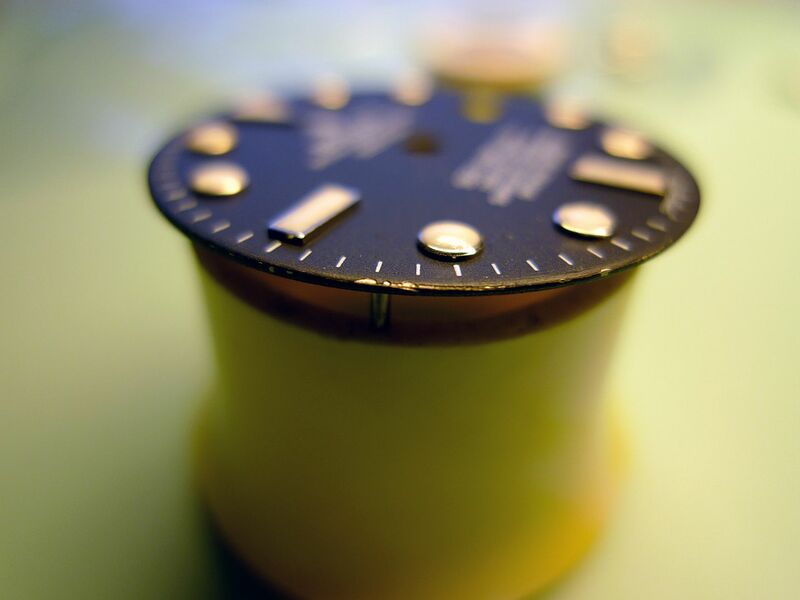 So after repairing the watch he decided he would never wear it again and donated it to me for parts. 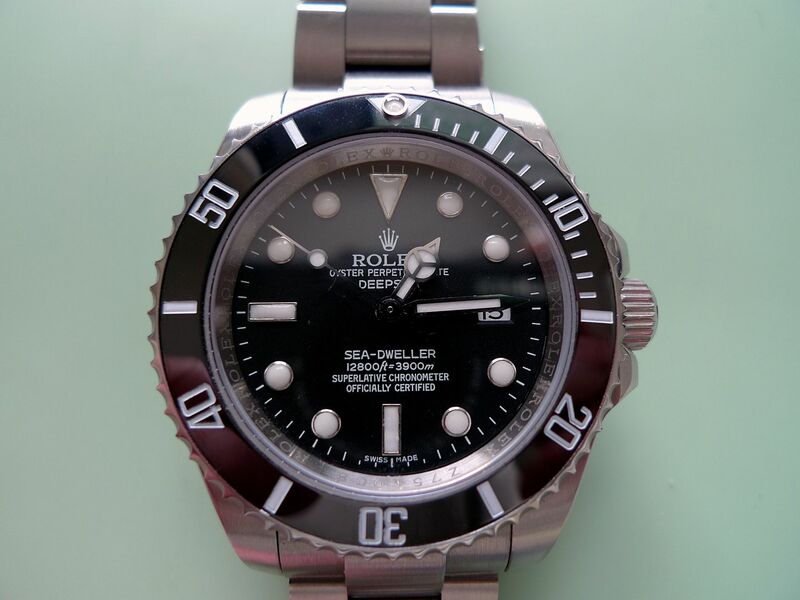 I thought it would make an interesting post and hopefully warn people off buying fake watches. Not for any higher moral issues, like the fact that you're defrauding a company. But simply because, despite initial impressions, you really are getting a poor quality watch and there's far better alternatives out there. I can't compare this side by side with a real Rolex, as I don't have one. However I can give my impression of the quality. 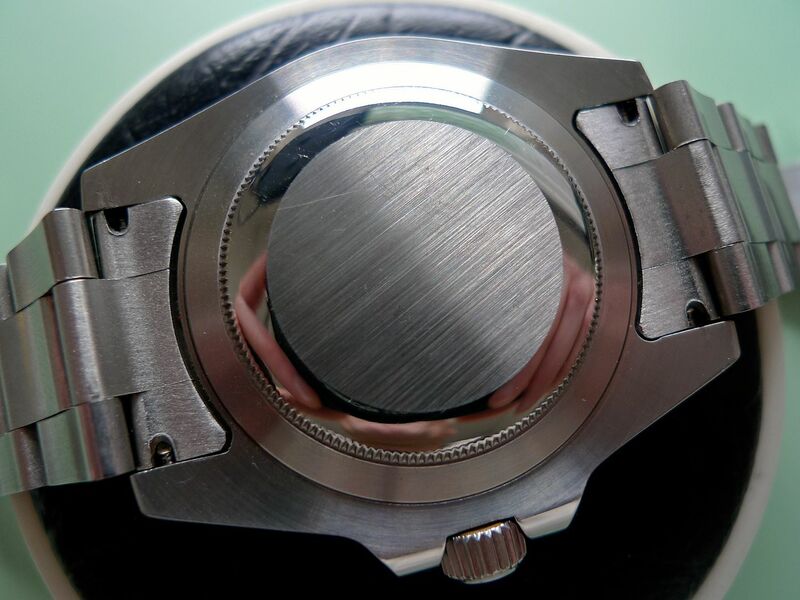 So let's start with the overall look of the watch. 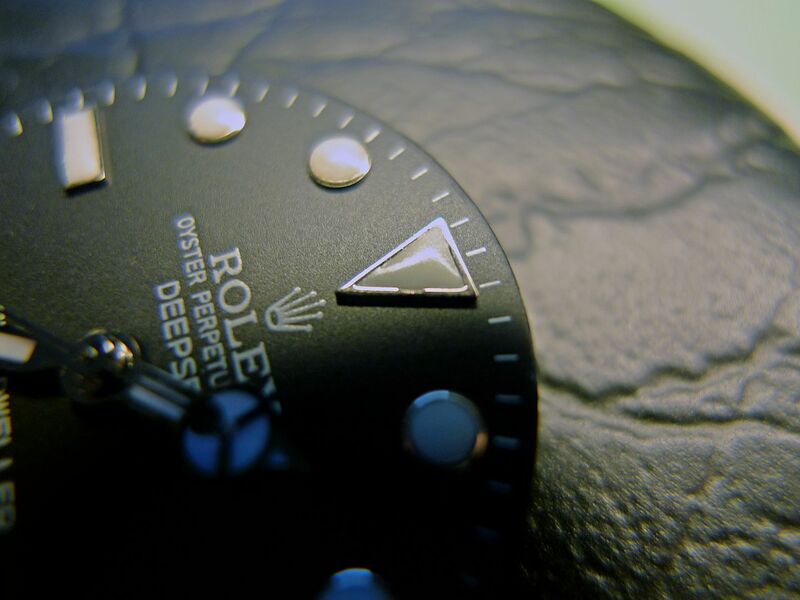 This is purporting to be a Rolex DeepSea. The case doesn't look too bad but it's definitely made to a budget, corners have been cut especially on the inside. 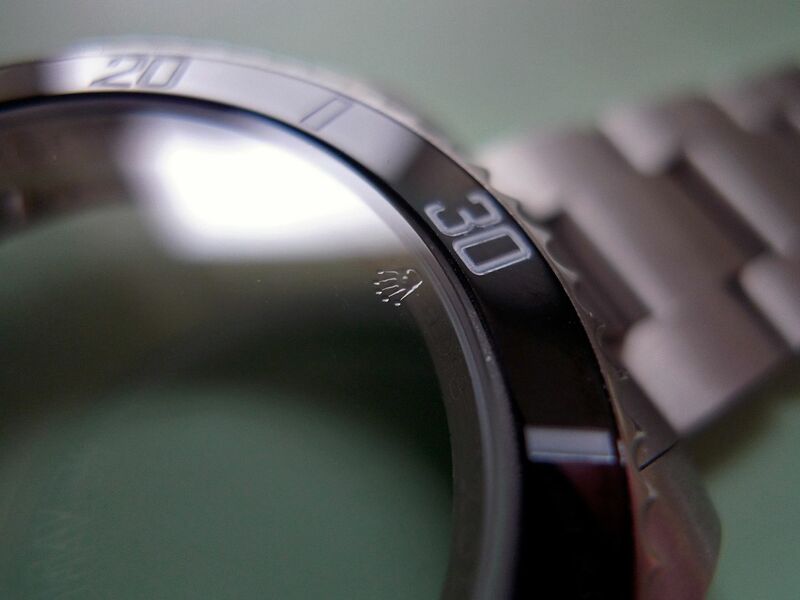 Closer inspection reveals that the bezel lume pip is way off the centre of the triangle it sits in. 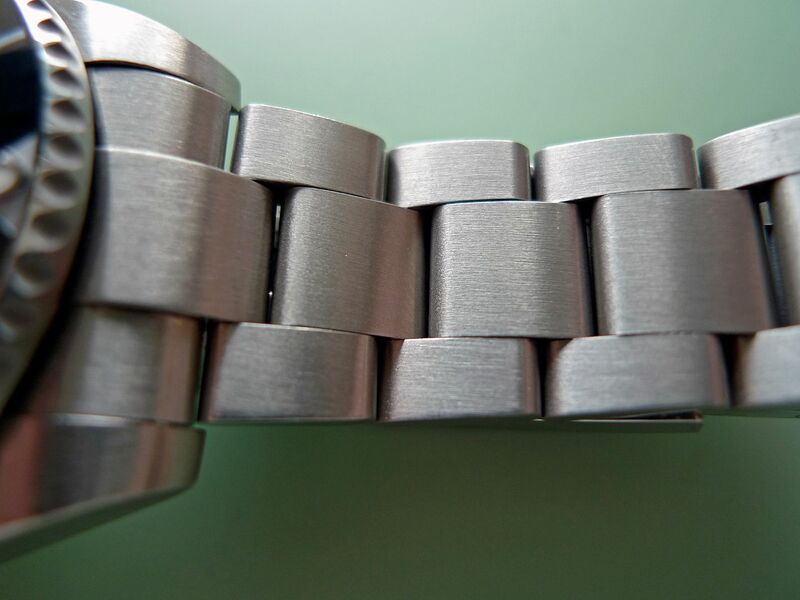 The bracelet looks pretty well finished though with solid end links. As does the clasp. A lot of effort has gone into trying to make this look authentic. Time to crack open the back and see what lies within. In this case it's an Asian ETA 2836-2. 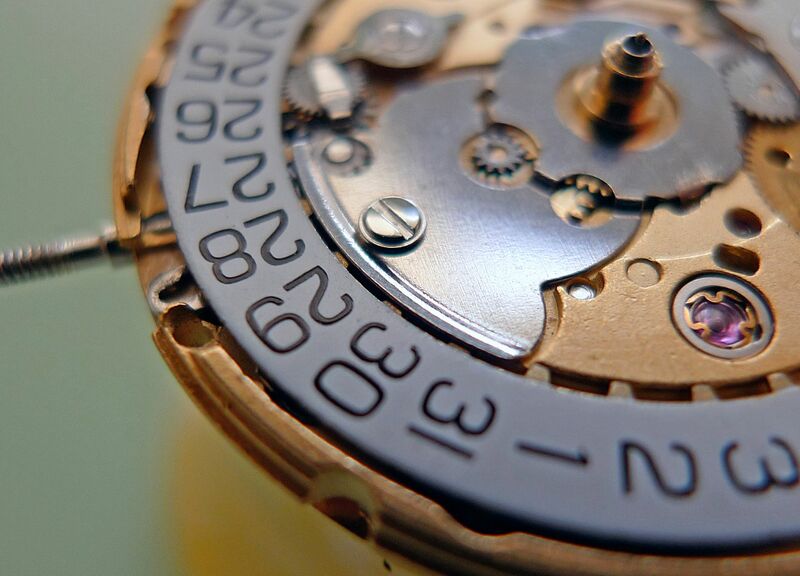 Movement removed it's time to have a closer look at that dial. Oh dear! 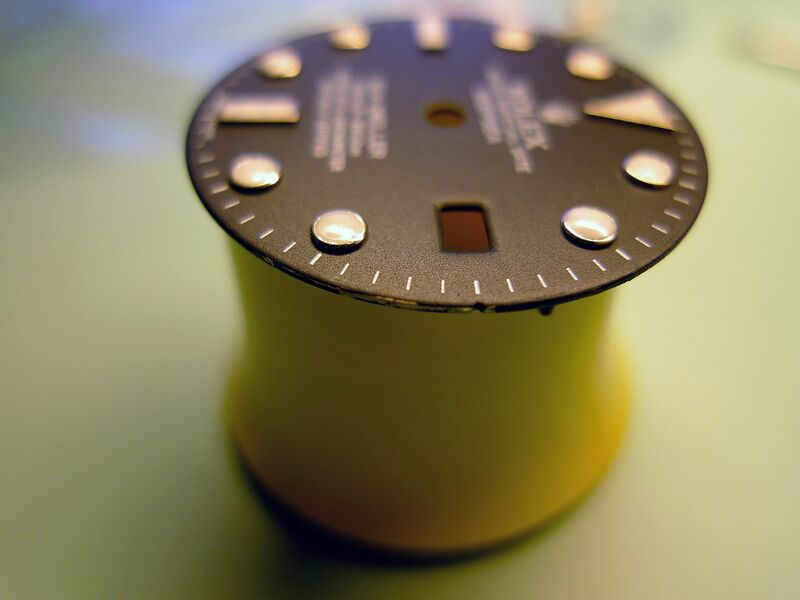 The dial paint is very soft, so much so that the edges are already crumbling. 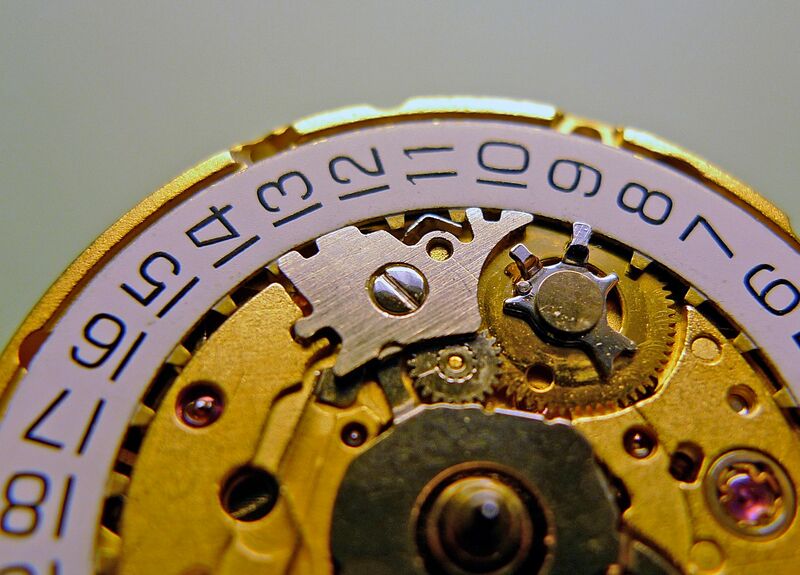 This is exasperated because the rehaut ring is very sharp at the edges, so any movement of the dial results in a little more paint loss. 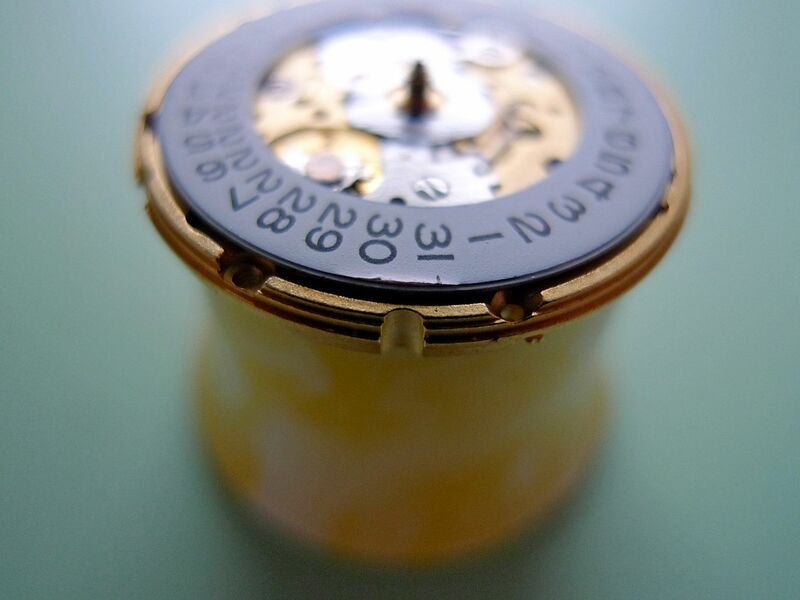 Plus the movement holder ring is a very poor fit, so the dial and movement are a bad fit in the case. 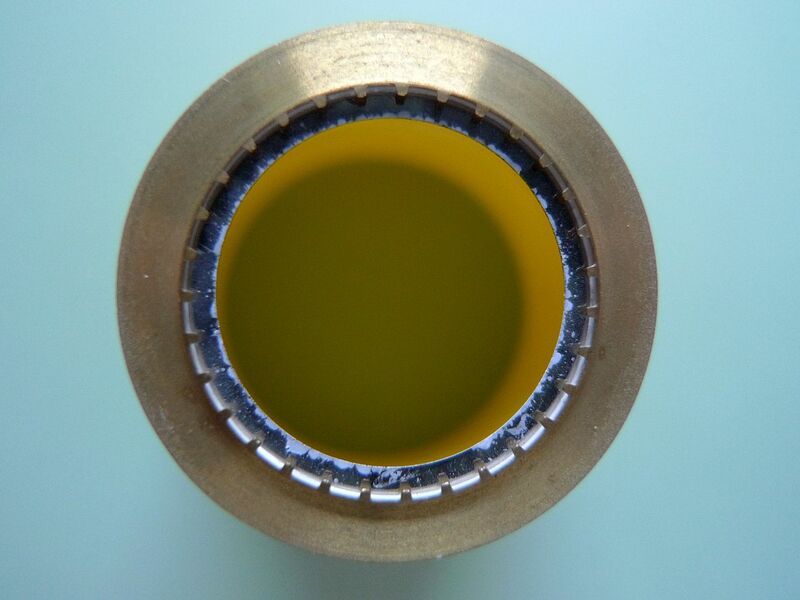 The indices are poorly finished too with chips to the outer metal. The text printing looks pretty shoddy as well but I can't get a close enough picture to illustrate this. 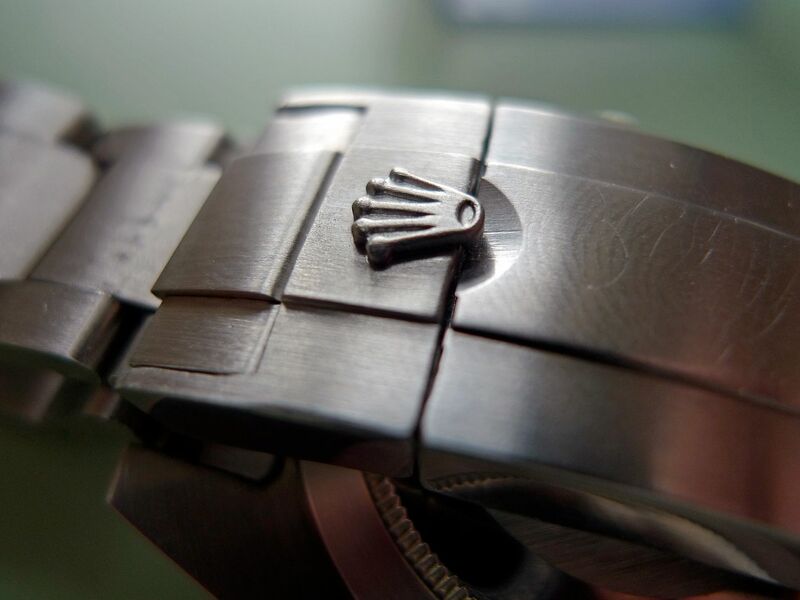 The crystal reveals again that some lengths have been taken to try and make the watch look authentic. 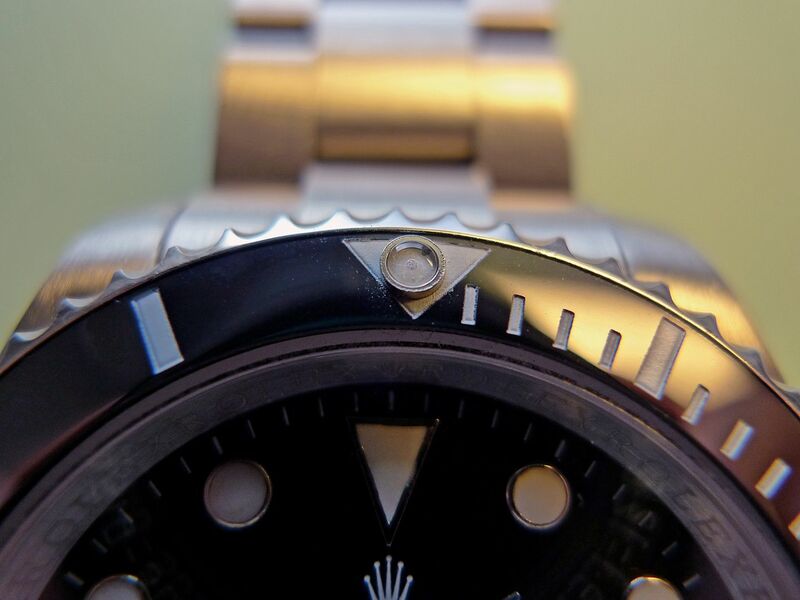 The logo on an official Rolex is made up of a series of dots though. Now to the bit that made me laugh out loud, the date ring. This is going to get a teeny bit technical but bear with me. 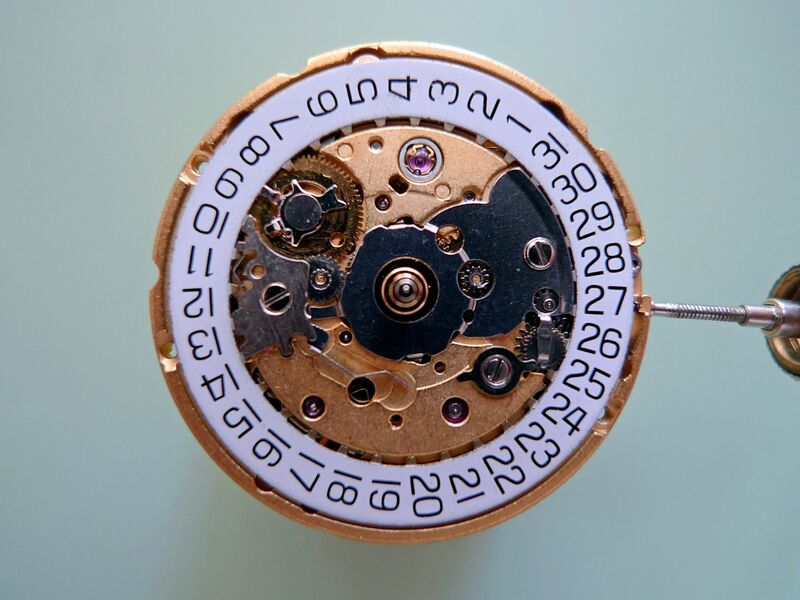 Let's start with how a date ring in an ETA 2836-2 should look and how it's held in place in the movement. Overhead shot. 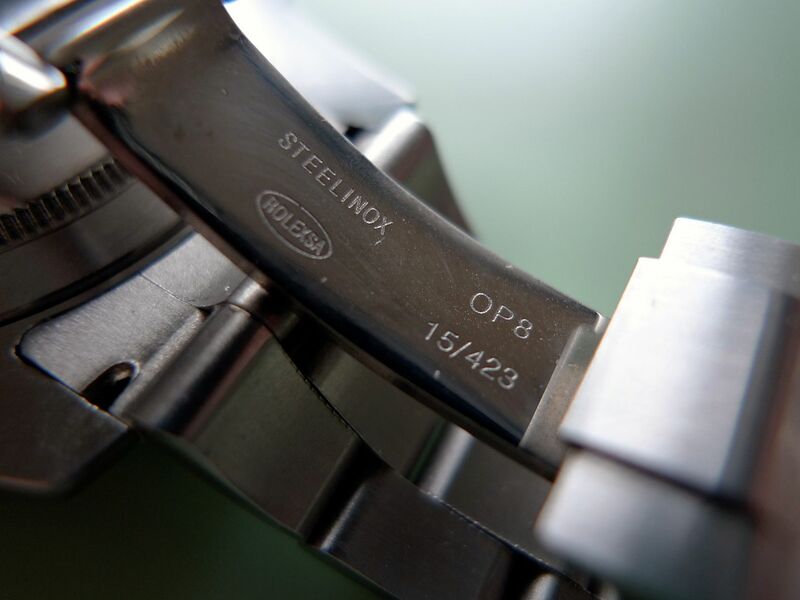 You'll notice that the date ring fits within a recess and is held in position by two elements. Those two element. The minute plate (it's actually called something that rhymes with dock but begins with c, however the language police asterix it out) and the date jumper plate respectively. 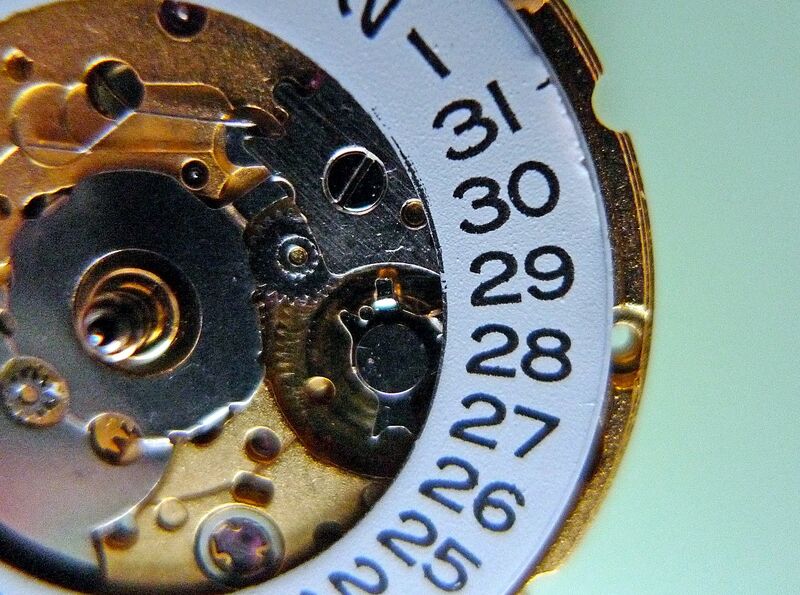 To accomodate the date window being closer to the centre of the dial the makers of this fake got creative. 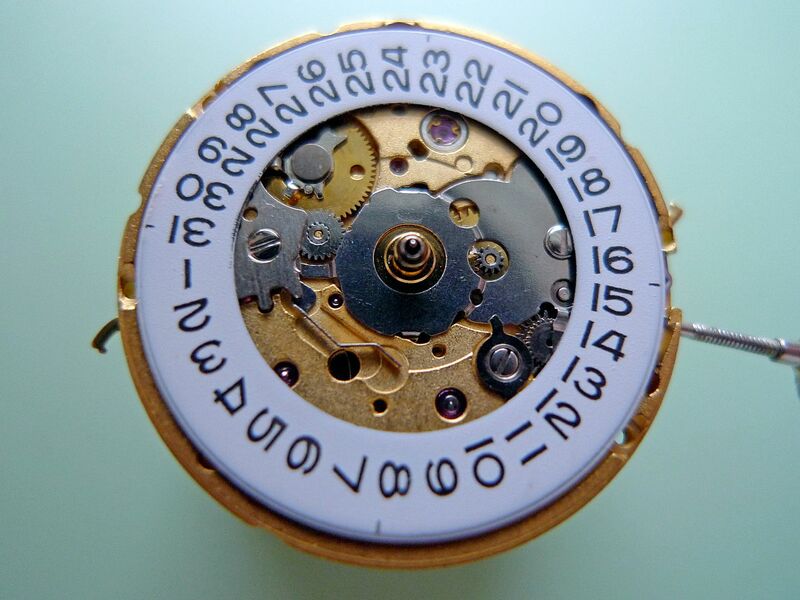 They obviously couldn't change the movement so they simply stuck a wider date ring cover over the existing one, ingenious! Well it would have been but the cover is already damaged and the numeral printing is appalling, lol! 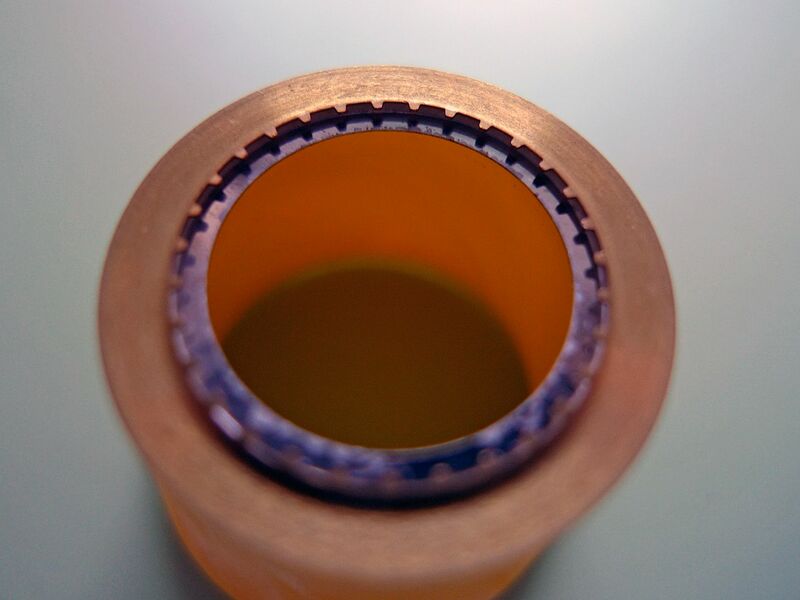 Here's the reverse of the date wheel, the brass element up to the teeth is the proper date ring and the inner tatty blue bit is the stuck on date ring cover. It's a thing of beauty I think you'll agree. So to the moral of this ramble. 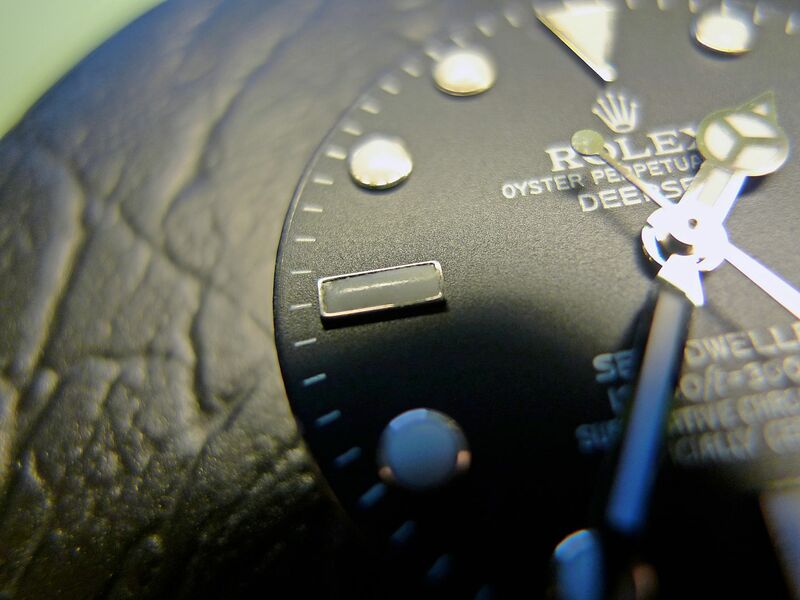 If you want an affordable watch don't buy a fake, you're getting far less than what you're paying for. 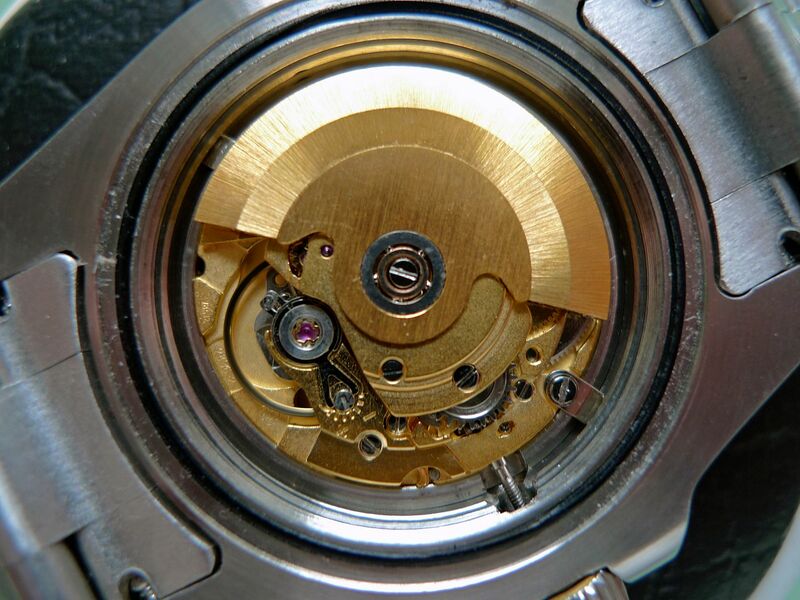 This watch cost the owner £220, it's less than a year old and already the bolt spring had broken, the winding mechanism had no lubricant on it so was very stiff and gritty to use. Plus one of the indices had fallen off. You're far better off buying a Seiko, Citizen or one of Eddies offerings over on TZ-UK if you want a good quality, affordable time piece. Terrific post, enjoyed that one. Can't think of another dissection of a fake that I learned than much from. I realise ATG members aren't really the demographic that'll buy this kind of watch but I thought it was an interesting exercise. At the very least I hope it demonstrates to the unaware that you really do get less than you're paying for with fakes. What a great article - very interesting. 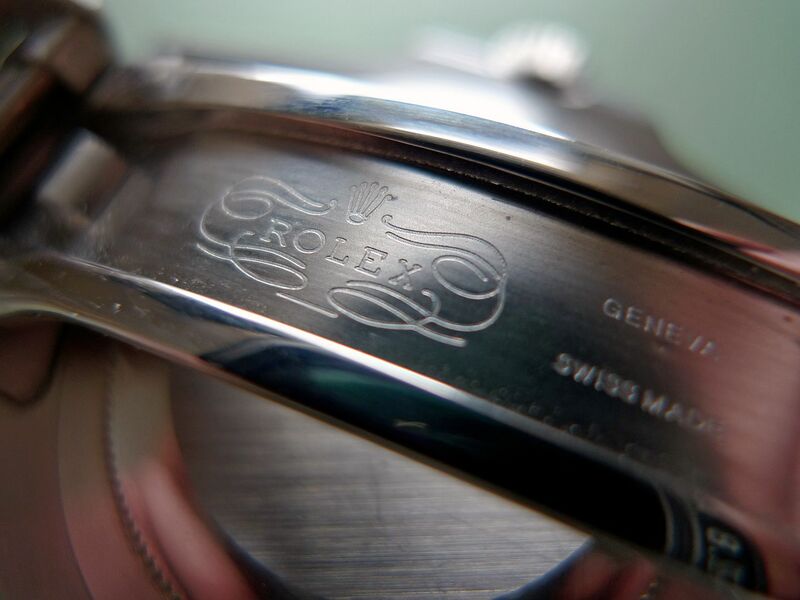 It certainly shows the reasons not to buy a fake watch. I like your photographs very much too- what camera did you use? The closeup shots are excellent.